The Chilling Warmth of “Snow Fall” – BOBBY JAMES. Winter has ended. Her snow gives way to the blossoms of spring, and her chilling air has been replaced by a cool pollinated breeze. Spring rains and sunshine inspire life and growth as activity resumes. The afternoon is partly cloudy – storms are approaching. A tornado watch has been issued and the breeze increases its speed. Blossoms are torn from the branches. Despite what’s happening just outside my window, I can’t take my mind off a story I read this morning. 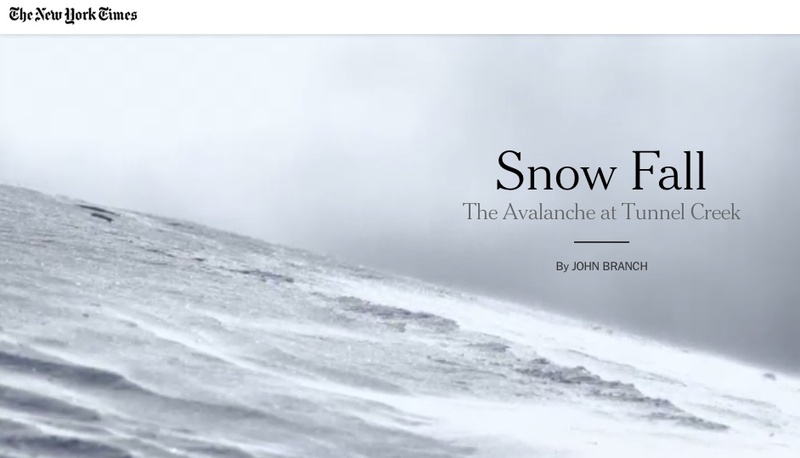 “Snow Fall,” a six part event from the New York Times captured my heart and my imagination. 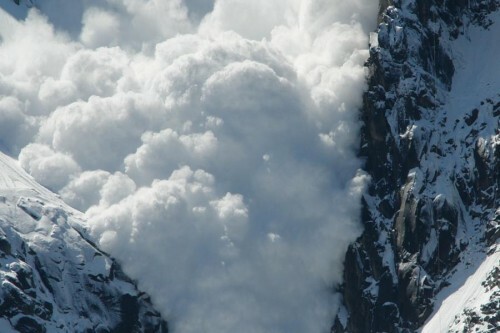 The story documents an avalanche at Tunnel Creek, a section of the Stevens Pass in the Cascade Mountains of Washington state. 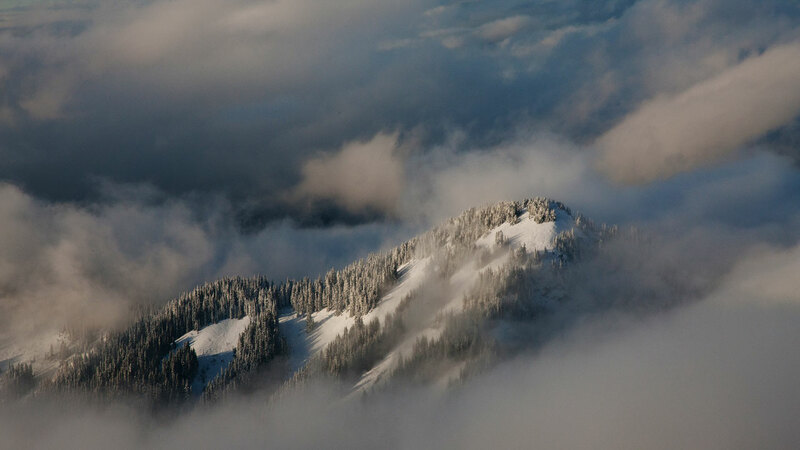 A group of sixteen skiers was on the slope that day when disaster struck. “Snow Fall” introduces “The Group” in a narrative way that feels warm, and friendly. I feel like the essence of these people has been captured – and I developed a sense of caring for each of them. For me, this engagement created hope, despite the forthcoming reality revealed by verb tense. I still hoped that somewhere in the story, there was a happy ending, that after becoming so involved I wouldn’t have to confront what I knew was certain. Structurally, I was positively overwhelmed by the intricate details and interaction of this story. It was breathtaking and totally immersive. The in-motion headers for each part of the story were strikingly magnificent – but at the same time, they were ominous. I could sense the risk – the danger – just from those images and the section titles. I knew this story would end how it did, but I tried convincing myself otherwise, by strengthening my connection to “The Group” through the interactive pieces. This “act of journalism” is revolutionary because of its narrative form. It felt like I was reading a book that I couldn’t put down. I couldn’t wait to see the outcome, or how the avalanche was faced – or conquered – or if the skiers would even overcome at all. I was anxious and worried, but most importantly, even though I recognized the grim reality – I was hopeful. In this bleak, cold world set in Tunnel Creek, I found warmth and hope – which is an amazing feat, and ultimately a spectacular way to create a legacy and legend for those skiers. As a storyteller myself, what I realized complimented what I’ve been taught – the more interactive the story, the more a connection can be made. These were real people who I learned to care about through video interviews, audio segments, and slideshows. I felt I had known them, and by the end – while not on the same scale as those directly affected – I felt – joy, hope, fear and sorrow. Most importantly, what I ultimately felt was inspired. As a storyteller, I know I’m capable of telling stories like this, true or imagined. The style – the connection – the passion – and the sense of anxiety to see what’s next are all traits any storyteller can only hope to convey. We want people to read our work – love our work – and be inspired by our work. This is something “Snow Fall” achieved, at least for me. Its impact was both realistic and artistic, both ugly and beautiful. I was particularly fond of the story’s packaging. I felt like the interactive maps, interviews, 911 calls, and slideshows added to the urgency and importance, and my overall experience and reaction to “Snow Fall.” It was more than a news story, or a narrative. It was and remains an experience. Next Post Long Live Spartacus!